Umbrella Strollers - what to do when you need one but hate the concept? So after 3 years of hard living, our beloved Valco Baby Snap stroller gave way (note: watch for "kneeling buses" kneeling onto the wheels of your stroller if you get off the bus too quickly and the bus driver is still in the process of lowering the vehicle) with a crack in the frame. Faced with both the terror of choosing a new stroller to use daily and the freedom to pick something that doesn't need to take an infant, we restarted our hunt for the Best Urban Stroller - Umbrella Stroller Edition. Option 1: Buy the same thing again. We'd narrowing things down to the Snap and the B-Agile last time and they remained compelling options for all the same reasons. You can see our post on choosing an infant stroller for more on this. Option 2: Cheap umbrella strollers . There are a million of these out there. Many are light a inexpensive, making them compelling at first glance. However, many are poorly made which can put you in a real bind if you not just "at the mall," and more importantly, most have wheels that are simply inexcusable for use on city streets, in the snow, or over train tracks. Hell, even the week we borrowed a MacLaren Triumph was awful while getting around cracked sidewalks and over the Green Line tracks, and that is not a cheap stroller. Option 3: BabyHome Emotion stroller. Dina seriously lusted after this stroller the first time around but we opted against it due to a lack of lie-flat capabilities. Had we owned our amazing Doona stroller/carseat combo at the time, we may have more seriously considered this option though. Honestly, we scoured Craigslist until we saw a Valco, Britax, or BabyHome come up and the BabyHome hit first. Having owned it for a couple months now, here are our thoughts. It's light (13 lbs), maneuverable, has good shock absorbers, and supports one-handed driving. While we were used to the other features, it's hard not to notice how much more maneuverable it is. Being a couple inches shorter (due to the lack of lie-flat), it's also a bit easier to get into the area of flipped-up bus seats and take up less space on transit of all kinds. It can also remain upright when folded and folds pretty flat, which is great for the restaurants that require it. A couple downsides... the basket is roomy but the opening is not. The wheels are acceptable but not amazing (they are made from the material of skateboard/Rollerblade wheels which make them durable but are still a bit too small for our tastes). This is a great, but not perfect, stroller. Second-hand on Craigslist was perfect for our needs. That said, even at full price, the Valco plus BabyHome is still less than having bought a Bugaboo or City Mini system. 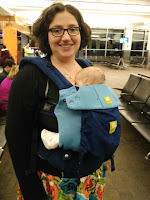 In a slightly less snowy city (or one with better sidewalks), you could easily do a Doona + BabyHome for all carseat/stroller needs in the first year (and beyond for strollers), especially if you invest in some comfy carrier options as well. 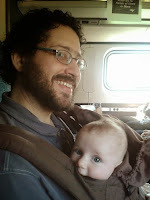 While we were quite certain we didn't want to get a car the moment that first baby came, the idea of figuring out how to get a stroller onto the bus or train and keep a kid calm was daunting. 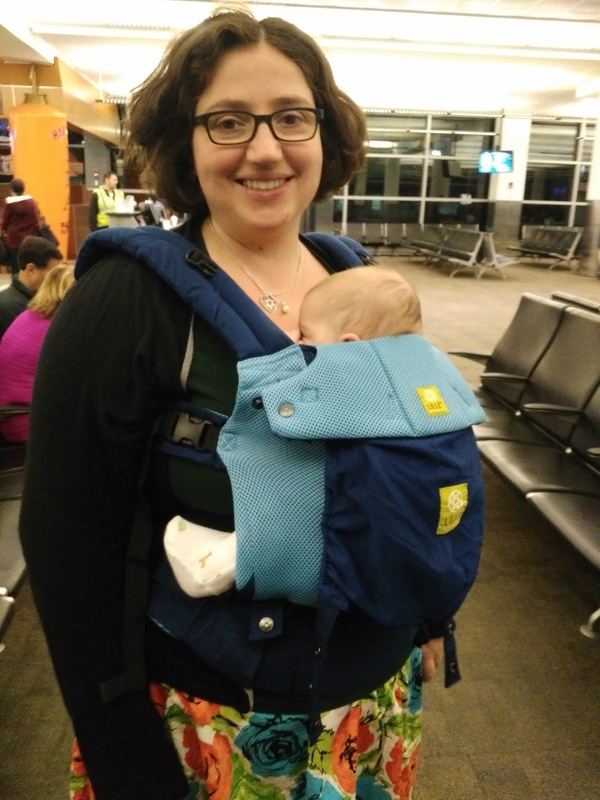 Ideally I also wanted to allow others to board/alight without causing all the sidelong glances I'd so smugly sent at flustered new parents for many years. Similarly, when the never ending snows of 2015 came, our slow easing-back of the stroller became an all-out desertion of anything with wheels. The thought of getting a 20-month old to and from daycare on transit unrestrained was intimidating, even for us urbanophiles. Note: If you're here with just a toddler, you can skip the next two sections and head down to "Lower the Stakes." Still pregnant? Watch other families board and see what works (and what doesn't) for them. 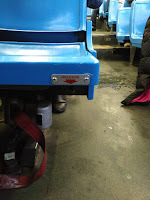 Check out where they sit, how they get there, and especially watch how they flip up seats or any other adjustments to the bus or train. Be brave, ask questions or offer to help, it's a great time to practice. Note: If you've enjoyed the anonymity of urban life so far, you may feel weird talking to random people, but your life of being ignored will soon end. 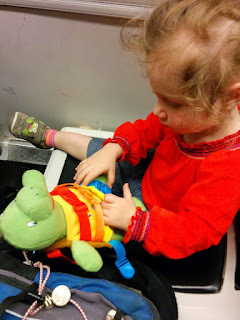 People of all types are going to approach you with all sorts of comments and questions when you travel with the adorable littles, even in the city. So you may as well start getting used to conversation with strangers. At least this time you're getting some much needed information out of the deal. Most transit agency websites have a section devoted to these things. You will generally find them under "Accessibility" or other information for the "Mobility Impaired." Your results will vary, as some agencies have more information than others, and some will (understandably) focus more on other issues of accessibility, but it's a good place to start. On a day you're riding solo during a non-peak time, see if you ask a couple questions to the driver. Are there seats that flip up? Where is the handle? Is it the same on all buses/trains? Is it easier to enter through a back door? How/when do you pay your fare? Answers for Boston MBTA will be forthcoming in another post. We've all seen people try to board the bus with giant heavy strollers, slowing down everyone else while they get increasingly flustered. How not to be them? First, get the right stroller and accessories. Light, tight turning radius, and narrow are your friends here... especially light. Stores may tell you that 20 pounds is light for a stroller (it may even have "city" in its name), but that's not light enough. You can find them under 18 pounds (15 pounds and under is even better). Stroller toys are also super since on a particularly bad commute, anything that buys you another 5-10 minutes may just be the thing that gets you home (or the kid to sleep). Until the babies were old enough to ditch the pacifier, we kept one on a clip attached to the stroller at all times (clips are also a great way to keep a toy attached to the stroller without it going missing). That was, in fact, the last pacifier we ditched with our first, even after the one that lived in the crib. Remember to also keep appropriate things in your diaper bag in case of unexpected delays or accidents. This is not a place to go nuts for all contingencies (staying light being a priority as well), but a snack with a long shelf life and some all purpose wipes will go a long way for peace of mind. Is your train or bus extra crowded? Do you live in a city that requires you to fold up strollers? Is it snowing? 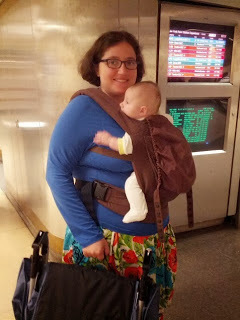 Then a carrier is a great way to use transit and more-or-less avoid all of the issues afforded by strollers. Just hope that this isn't the day you need to get diapers, wipes, and sheets into daycare. Ok, now we're to the part where the strategies are the same for getting out there with a stroller AND for getting your kid out of the stroller. In other words, use the obvious strategies that you employ when trying something new with your kid. Pick a non-essential trip, during the middle of the day or the weekend, on a day when your child seems to be in a good mood. Don't go too far - pick a destination that you can walk home from with the stroller or carry the kid if you've ditched it. Be ready for the first time (or 3) to be slow and to feel like the tourists you scoff at all the time. It's going to be awkward, you won't know where to put your hands, or the kid's hands, or you'll discover the cup holder hits the stop request button, or your newly unrestrained kid's snowpants cause them to slide right off the seat. It will feel like you spent 15 minutes getting settled while everyone else stares daggers at you. You can rest assured, however, it was probably only 30 seconds and no one even looked up from Facebook. Get off two stops later, enjoy a cup of coffee with a pain au chocolat at a cafe, and walk back home. You did it! For the stroller crowd, once you get a couple of these under your belt, try a rush hour commute. If you're feeling nervous, recruit another adult to help (partner/parent/friend/etc.). Then try a rush hour commute where the second adult hangs out at the other end of the vehicle and only helps if something goes wrong. Slowly ease off the training wheels and you've got the confidence to hop on anytime, get around, and enjoy your city, baby and all! 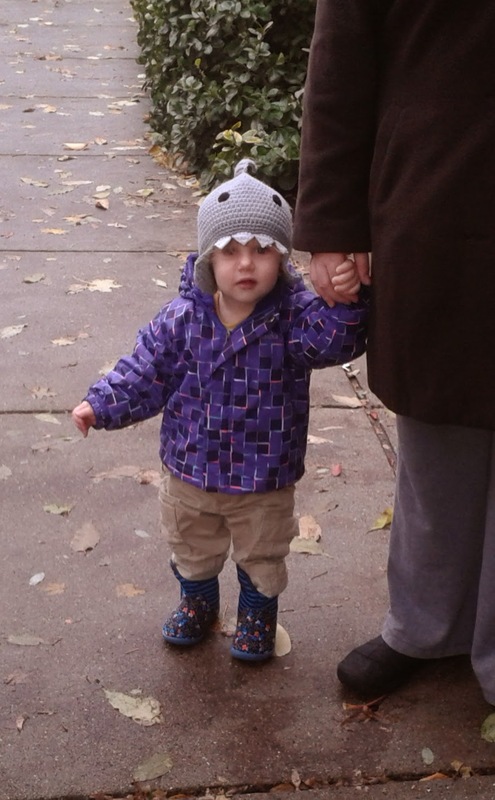 For those trying to ditch the stroller, the same principles apply but you're also adding in the need to help your kid learn to walk further and further. So instead of wheeling the stroller directly into the daycare, we parked the stroller first and walked to the door. Then, we started walking to the park (holding onto a stroller handle) but letting the kid ride in the stroller on the return trip. To bring it back to transit, we started taking the bus unrestrained to music class where the walk on either side of the bus was short. 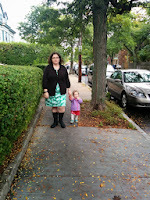 We kept practicing with various trips until we were ready to try a run to daycare. At first we only did the commute without a stroller one way, leaving the stroller at the daycare overnight for an unrestrained ride home and then back to school the next morning. We went from one day a week, to two, to... the worst winter in Boston history where we ditched the stroller entirely and were so happy she was ready and able to do it! Moving to unrestrained transit riding also meant teaching the kid a lot more about proper behavior than we had to cover when she was confined to the stroller. We do lots of reminders about the fact that everyone gets personal space, the need to stay in your seat, using your inside voice, and really all the things that toddlers do. All of which is to say, you'll no longer be checking your phone or enjoying a cup of coffee while enroute. When we've had issues with her pushing the limits of appropriate behavior, I apologize, and generally people are pretty nice/forgiving (yes, even here in grumpy Boston). Her size, comparative independence and charizma let her get away with it. This should buy you enough time (and trips) to teach better habits. We all have bad, weird, or frustrating days. And here's the thing, you can always ask for help. You can ask people to vacate the accessible seating, you can ask people to flip up a seat, or to even help you with a stroller on the stairs if you so need. In my experience, people have always been pretty great about it, especially people who have grown children. While plenty of people offer useless (or worse) help, most of them are just trying to be good citizens and everything is going to be OK, I promise! I see our subway station! Eventually they'll want to look out the window, which will be lots of fun (and distracting) for them. They'll learn the names of the stops, learn their left and right from the door announcements, and tell strangers how to get around. At home you can make up new verses to "The Wheels on the Bus" based on your actual experiences (we've added verses about bike racks and card readers). And now we have a commute where we can have fun, learn skills, and see each other face-to-face all without having to circle for parking. Hey, we got back to being smug, victory! When you are in the wheelchair section of your bus or train, keep your eyes open for folks using other mobility aids who need access to that section of the vehicle. It's annoying to stand in an aisle with a stroller, but easier/safer for you to do than a wheelchair, which generally must be secured using special attachments only in that area. Similarly, someone with a walker may not be able to make it as far into the vehicle as you can. Part of asking others to vacate these spaces for you is realizing that you may still need to vacate for someone in more need than you. Also, when you're winding through dark passageways from platform to platform and stuck in slow-moving foul-smelling elevators while those without wheels walk up 10 stairs to accomplish the same task, remind yourself: When my child(ren) is out of the stroller, we'll be done with this. And then double-remind yourself, for many of the people using these services, they are stuck with this substandard transit experience every day. So, when your transit agency says they don't have money for accessibility, or there's no need to add a second elevator to serve platforms in both directions, or that they can't upgrade a station because then they'd finally need to make it accessible, PUSH BACK. Do it for your selfish reasons of needing to get a stroller around town for the next few years, but especially do it for the non-selfish reasons. 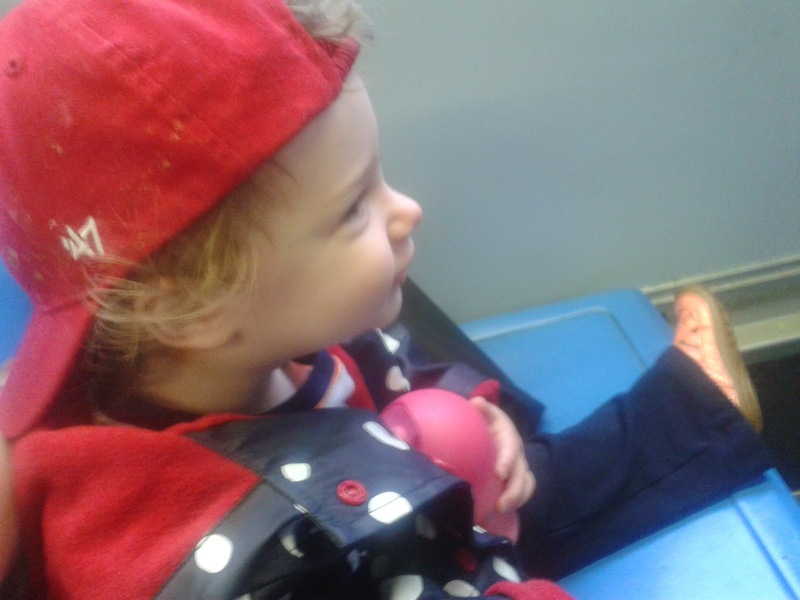 Toddler's first trip to day care on the bus without a stroller. 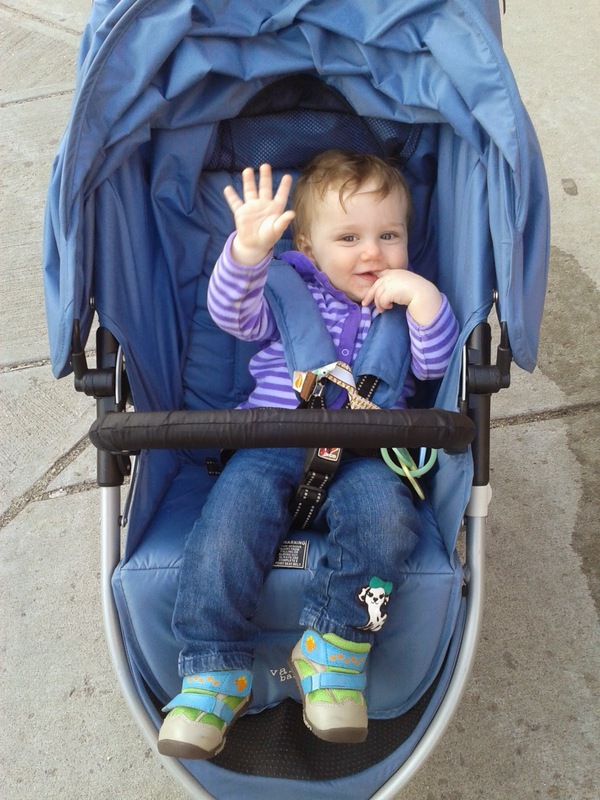 As we mentioned in some previous posts, our daughter ditched the stroller pretty early (about 20 months). She's also always been pretty ahead in the gross motor skills arena. These two things are almost certainly highly related. Regardless, this means that we've had the experience of taking the bus and train (and making transfers) with a very small child not protected with the cocoon of a stroller. While for the most part this engenders exclamations as to her precociousness, occasionally this results in odd or downright hostile interactions. One time, I was walking down the stairs into the train station with my daughter who was doing a great job walking down the stairs beside me. As we were descending, a man, who was passing us, turned around and barked at me that I was being unsafe and should pick her up. This was particularly odd as I was visibly quite pregnant and also the toddler was not causing a problem (at that exact moment, because believe me.... My toddler knows how to cause a problem). I'm not sure exactly where our behavior was so unsafe as to elicit comment, but it's good to know that the public has our interest at heart... or something. "Happy Mother's Day, I guess"
Awww thanks buddy, but really you could have stopped talking before the "I guess" part. What weird and ridiculous comments have you all encountered when taking public transportation with your kids? The amazing folding toddler carseat - lifesaver for Carfree families!! 2 year old in IMMI GO seat. Anyone who knows me personally knows that I have a tendency to effervesce in the form of wild gesturing and Valley girl-style high pitched squealing when I get excited about something. Let me tell you, when I first read about the IMMI GO Car Seat, I reached full Alkaseltzer crossed with 1995 Alicia Silverstone. I was so excited! Since that initial love at first read, I've had the joy of using this car seat and being proven correct. Let's start with why car seats are the mortal enemy of city-dwelling families and then we can discuss why this particular one rises so far above the rest. What I need in a car seat is one that's light, foldable, easy to carry, and importantly, easy to install correctly - bonus if I can do it quickly enough that my toddler doesn't decide to bolt into traffic while my attention is elsewhere. Car seats, especially ones designed for kids after the infancy stage, are heavy, bulky, and not meant to be taken in and out of cars frequently. In fact studies show that most kids ride in car seats that aren't installed correctly, which means that more and more families are going to police departments to have their car seats installed professionally. This is all fine, but it in no way encourages car seat manufacturers to make these seats simpler to install correctly (again... improperly installed car seats aren't all that useful). And if they're so hard to install, then there's no reason to make them easy to transport. Add to this the recent trend to steel reinforced seats which are twice (or more) as heavy than regular seats... So car seats - the mortal enemy of the carfree family. Aren't steel reinforced seats installed by professionals the safest thing for my child? How the IMMI GO changed my life! 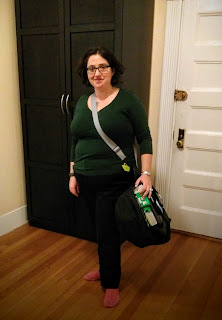 The IMMI GO fits all my criteria for a carseat and is totally small enough that I can carry it around as a "maybe". It folds, comes with its own attached carrying case, weighs only 10 lbs, is easy to install and adjust... correctly! 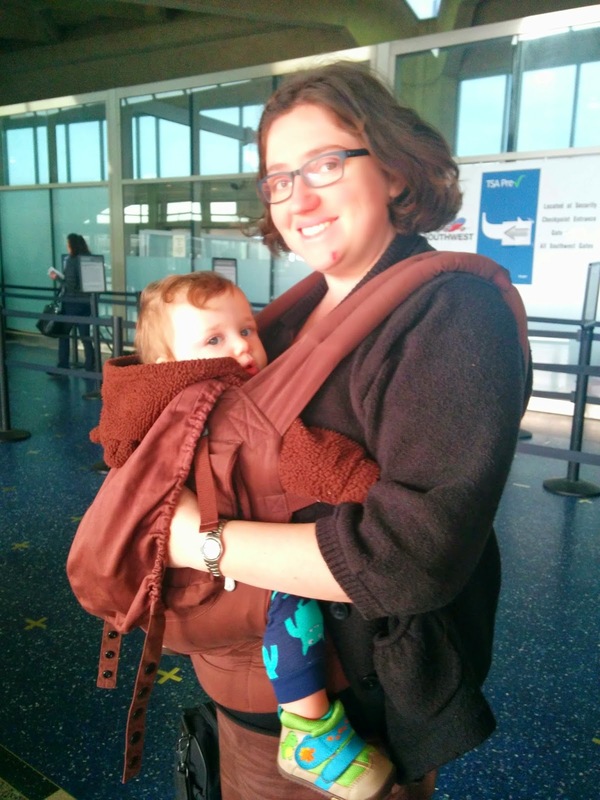 It's brand new so you might not find tons of info about it but it is Carseat Lady approved (so I'm not the only crazy Internet lady who likes it). The only small, tiny quibble I have with it is that it only has a handle and not a shoulder strap. But! We live in the age of the internet and such problems can be solved. 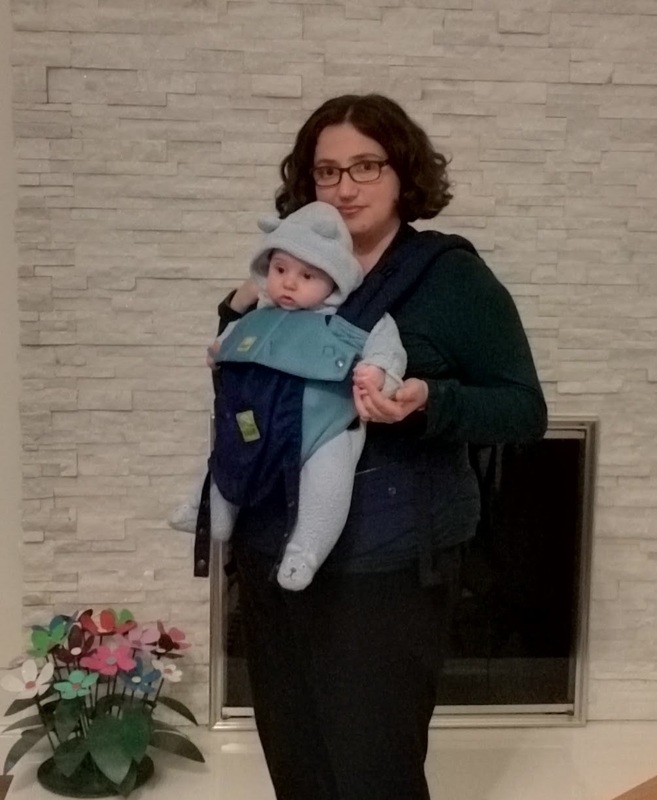 I ordered a strap from Mautto.com and was able to convert it into the ultimate portable carseat (pictured - Cotton Canvas Webbing Strap, 1.5" wide, 55" adjustable length). At just 10 lbs, and carried hands free, I can take this on the train with me along with my toddler, purse, and whatever else I need. I can know that if we're cutting it close to bedtime or dangerously approaching a toddler freak out, we're just a safe taxi ride away from home. IMMI GO - you have this tired Mom's very sincere thank you! It was shocking to me how quickly after announcing our first pregnancy to the wider world questions/assumptions came pouring in about when and what kind of car we would be purchasing (answers: never and none). Yes, it's true... my name is Dina Aronzon, I live in a city, I have 2 children, and zero (0!!) cars. Also I am not alone in this decision. If you've not encountered this phenomenon before, this post will answer all your burning questions about what that's like. Are you some kind of martyr/hippy/crazy environmentalist/crunchy sanctimommy? 1. It's really expensive to have a car in the city. You have to pay to park it at your own house (we rent out the parking space that came with our condo for $125/month), at your job (my job downtown charges $350/month to park; even when I worked in the 'burbs it was still $30/month), and everywhere else you go. Car insurance costs more. Our combined spending on transportation (monthly transit pass + average Zipcar spending + taxi/uber) comes to roughly $200 a month. The math doesn't lie. Plus, we can take all that money that we DON'T spend on parking, insurance, car payments, and gas and spend it on our mortgage. 2. At the end of a snow storm I've never been sitting there thinking "you know what I want to do right now? Go outside in the freezing cold and dig a hunk of metal out, just for kicks". 3. I never have to schedule an oil change, get snow tires, or coordinate getting home from "the shop". Frankly, I'm too lazy and busy to add another expensive and possibly lethal thing to take care of. 4. Most importantly, in the 10 years that I have been living as an independent adult, there has never been a thing that I wanted to do that I haven't been able to because I don't own a car. Yes. I live in America, I'm pretty sure they strip you of your citizenship if you don't get one by age 25. Also, I've had to drive equipment around for my job so it's come in handy for professional reasons. Also also, we do use Zipcars when we need to get somewhere that's not conveniently accessible by transit. Being able to drive when you need to without owning a car - the future is pretty awesome, isn't it? How do you get your kids anywhere? The same way all parents do - with a lot of patience. Also with the help of strollers, trains, buses, and as previously mentioned, Zipcars. Toddler says "Hi there, I love my stroller"
Sure, yes. But once again, this is no different from anyone else. There are absolutely jobs I haven't taken because it would have meant buying a car and commuting out to the suburbs every day. This is definitely a place where I have some luck. I have not had trouble finding work that fit my criteria. That said, I have also been flexible as to what my criteria are. In return, my husband and I commute to daycare on transit where we get to talk to our children, play games, and sing songs with them. They are not stuck completely strapped into a seat, facing a different direction, unable to have meaningful interactions with us. Also, as a bonus, we don't tend have naps ruined by a cat nap in the car (instead our naps are ruined by toddler intransigence). And finally, yes, sometimes we say no to activities or events because it would be too much of a hassle to get there. Then again, there's something to be said for using your time judiciously and just walking your kids to the playground instead. I have a car. Are you judging me? I am of course joking. I don't really care what others do. The purpose of this post twofold. The first is really to dispel the mystery around my family's choices (which frankly aren't that mysterious). The second goal here is to encourage others who may currently be living car free but are about to have children to consider giving the carfree family lifestyle a try. This post is the first in a series of posts about carfree living. Upcoming posts will include thoughts on strollers for urban use, necessary accessories, and whatever else we think to blog about! 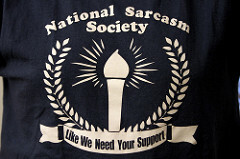 Photo Credit - National Sarcasm Society under the Creative Commons License.